Any pharmacist manager knows that the daily working life of the pharmacy is hectic. Regular customers come and go like clockwork and there is an equally constant stream of newcomers, searching for over-the-counter medication and prescribed drugs, or answers to any and all of their health-related concerns. Beyond the business of the shop floor there are any number of tasks to do - the most time-consuming and avoidable of which is, of course, administrative work. Why do we say avoidable? Well, for one, the Locate a Locum app is an ideal way of cutting out the hassle of sourcing locum pharmacists through agencies and colleagues and just getting shifts filled. Our easy to view calendar allows you to plan months at a time and quickly review your number of live, filled and unfilled shifts. 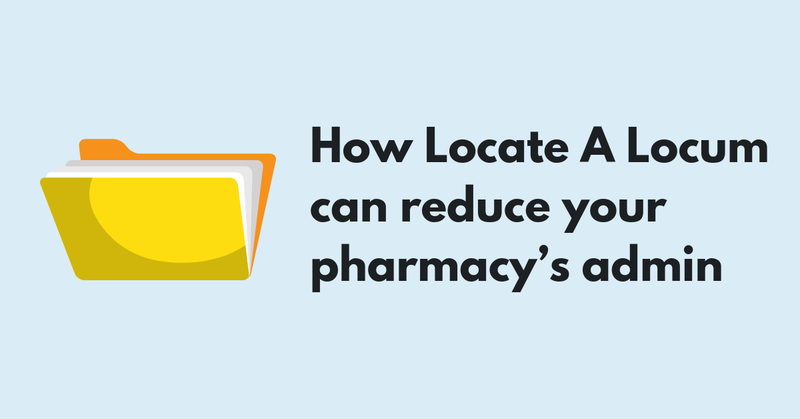 Not only is managing your locums easier, but finding them is too. With Locate a Locum, there is no need for tedious phone calls or back-and-forth email threads. You can simply post an empty shift in the app and have locums respond directly to you, to help even more, you can book direct locums at no extra cost (say goodbye to booking fees!). From there, you don’t have to go to each individual and request their documents - you can access this information with just a few clicks. You can even see if a locum has been previously booked with your pharmacy, making it an even easier decision about whether to rebook them for a job. If the locums you are already in contact with or have used before, are not registered on Locate a Locum yet, that’s fine. You can invite locums through the app to sign up and they can also be invited to apply for a shift. Without signing up, they won’t have all the benefits of full registration, but you will still be able to keep all of your schedules and locums in one place, making your life and daily workload that bit easier. Your daily workload is strenuous enough - try out Locate a Locum today, with a download from either Apple or Android stores, and cut down the admin.